Eliza Sikes, writing from her farm in Bernardo to a friend in northern California in November, 1881. I wondered who was this Mr. Pepper? So I did some research. Michael William Pepper was 34 years old when he came to Eliza’s door. He was born and raised in Wisconsin, son of an Irish immigrant farmer and a mother who presumably died when Michael was around two. Rather than follow his father’s footsteps into farming, he went to the University of Wisconsin where he earned a bachelor’s degree and went on to get a law degree in 1873. He started teaching in Milwaukee. By 1878, Pepper was a California resident and was admitted to the state bar. Yet three years later he was teaching in a country school, a low-paying and pretty much itinerant position. What brought him there? We really don’t know. We do know that between 1890 and 1918 he lived in a number of communities all over the county, including Escondido, Ramona, and De Luz as well as downtown San Diego. In each community he served as a teacher and at times even a principal at schools from Old Town to Warner Springs. News articles tell us he was highly regarded by many school officials and by his fellow teachers. We also know that he apparently recovered his health enough to be living on his own in San Diego, appearing in city directories in 1917 and 1918. He was also listed as a teacher. Whether that was something he said to save face, or he was able to work in the field he obviously loved, hasn’t been determined. Michael William Pepper died in March, 1920 at the age of 73. The only survivor mentioned in his obituary was his younger brother Joseph back in Wisconsin. Michael was buried in Holy Cross Cemetery. Although he’s listed in cemetery records, he has no gravestone. 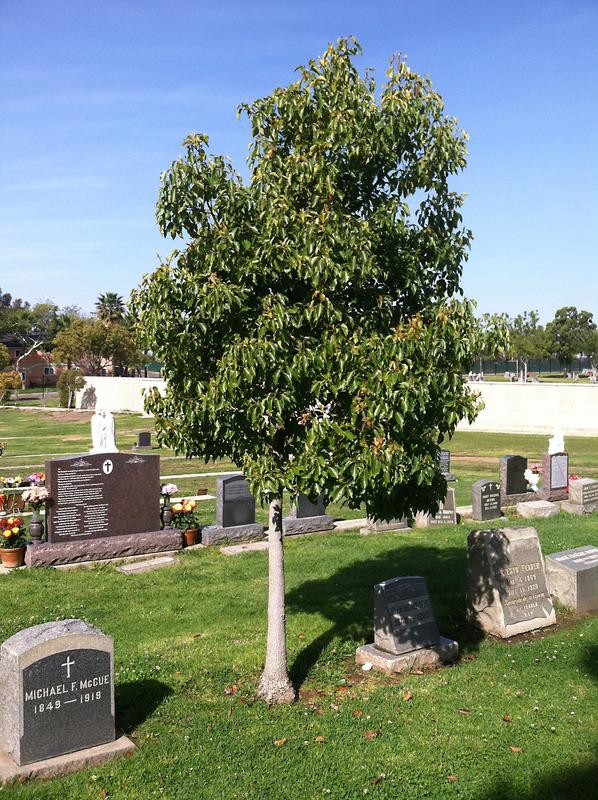 A tree marks his burial spot. Resources used for this post included archives for the Sikes Adobe Historic Farmstead, U. S. Census records, California Great Registers, historic San Diego newspapers, San Diego city and county directories, University of Wisconsin alumni directories and catalogs, and Milwaukee city directories. “Many tracts of from ten to forty acres can be sold as soon as the surveyors shall have completed their work,” read a brief news item, datelined Escondido, immediately following the listing. The Escondido Land and Town Company (ELTC) was organized in the early 1880s by a group of businessmen led by Jacob Gruendyke and five brothers, A. Richard, William W., John R., George V. and Charles F. Thomas. The company purchased the vast rural acreage of the former Mexican land grant Rancho Rincon del Diablo with the goal of building a town. The ELTC had a plan. They hired a surveyor to plot out townsite lots. Simultaneously they began constructing a fine hotel to house prospective land buyers. The three-story, 100-room Escondido Hotel was up within the year. They also built some model homes and even a “model ranch,” a working farm to demonstrate the advantages of Escondido’s climate and soil. They created a newspaper, the Escondido Times. 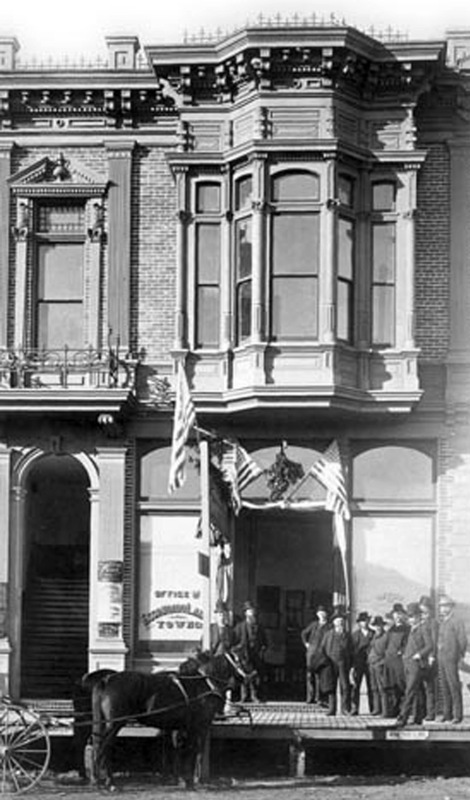 The Escondido Times inaugural issue, published May 1, 1886, was undoubtedly printed in the city of San Diego since the paper predated the city of Escondido’s existence. Since there was likewise no readership yet in Escondido, the ELTC paid for the distribution of the Escondido Times across the United States. By late 1886 the paper was being published locally, but ELTC was still paying for the national distribution of 1,000 copies per issue per year. For at least the next three years, the company also paid for two full columns of advertising in each issue. The company also invested in getting the Santa Fe Railroad to build a line from Oceanside to Escondido. Service began in January 1888. The railroad made the new town an important shipping point connecting local farm products to markets in Los Angeles and across the country. It was also crucial for the promotion of the town as a destination for travelers, settlers and investors. When the Santa Fe erected a depot on the west end of Grand Avenue, the Escondido Hotel, which stood on a knoll on the east end of the street, inaugurated a free shuttle service to and from the depot by horse-drawn, surrey-topped bus. Specially organized “Booster Excursion” tours brought crowds of tourists and prospective settlers. The company’s plan worked. Escondido was incorporated as a city on October 1, 1888.